If he's not safeguarding the world from evil supervillains, he might as well protect what you treasure most from your sneaky friends and family. 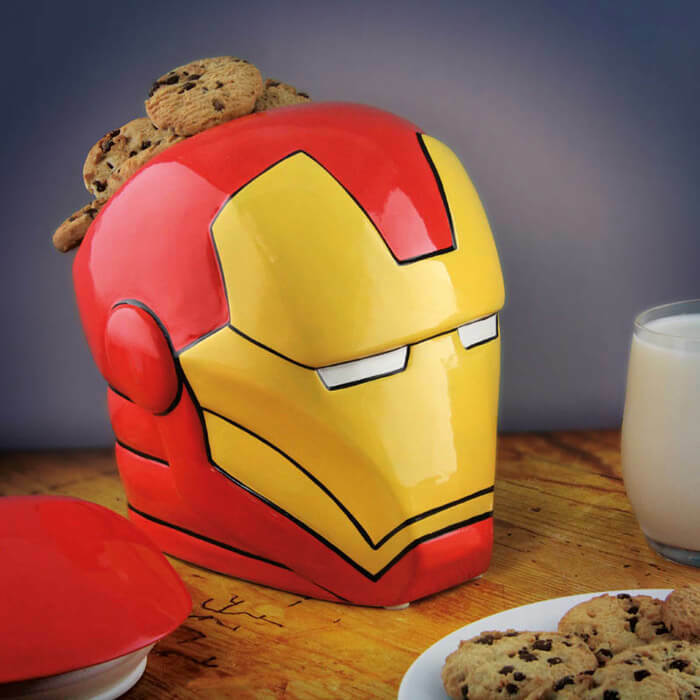 This Iron Man Cookie Jar is the perfect armoured solution to your biscuit based needs, and just the kind of advanced security system that Tony Stark himself would be proud to endorse. 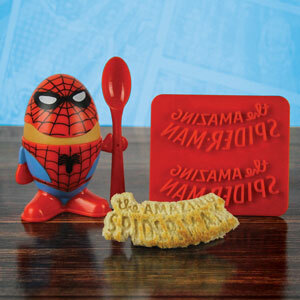 A 19 cm tall ceramic cookie jar based on the legendary Marvel superhero Iron Man. 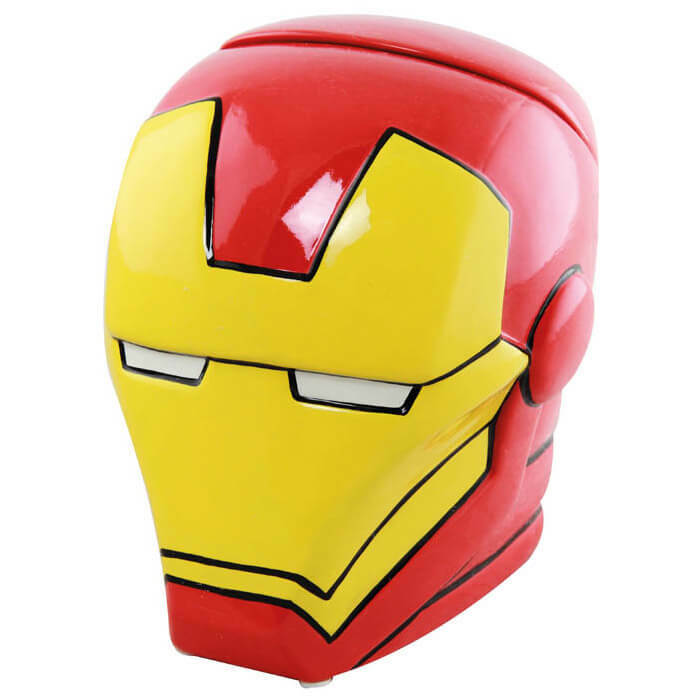 The Iron Man Cookie Jar is a biscuit storage jar in the design and shape of Iron Man's iconic armoured red and yellow helmet. 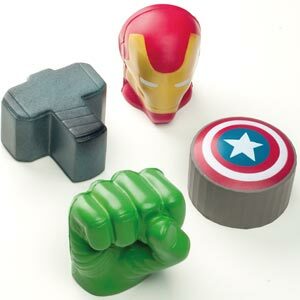 Iron Man is one of the most famous comic book heroes of all time. 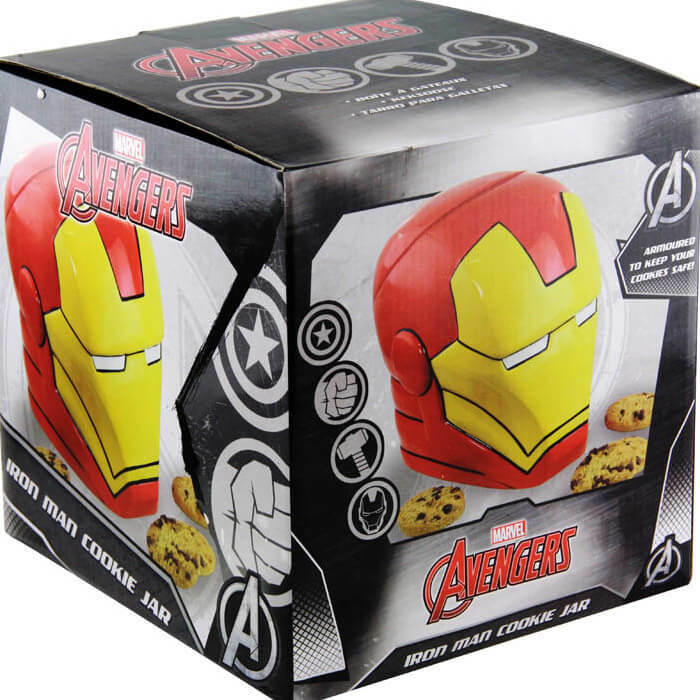 A great gift for any comic book or superhero fan, the Iron Man Cookie Jar is an officially licensed Marvel product.